Butler-Tarkington is named jointly for Butler University, whose campus it is nestled alongside, and Booth Tarkington (1846-1946), the Pulitzer Prize winning novelist who lived there. 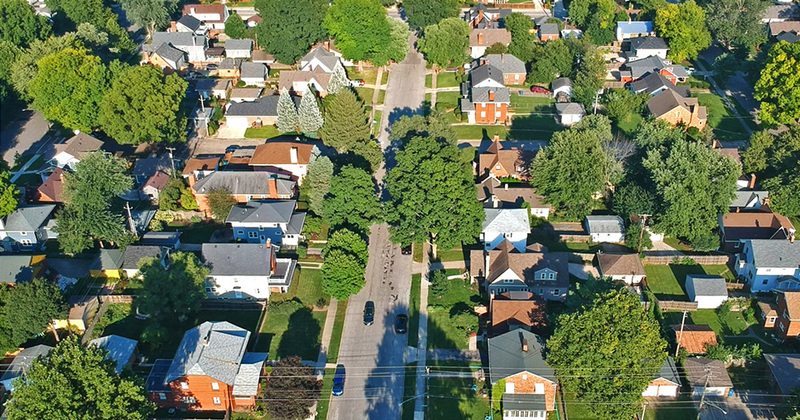 Bounded by 38th street to the south and Westfield Boulevard to the north, in between Meridian Street and Michigan Road, the Butler-Tarkington area has a feel of a college town within the surrounding city of Indianapolis. 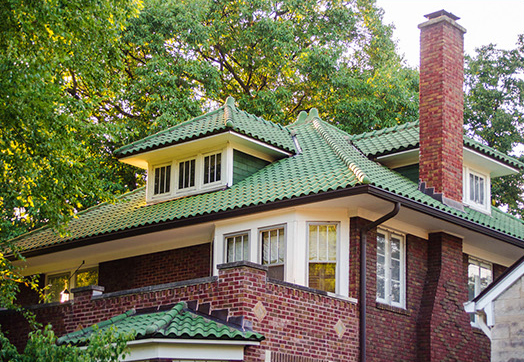 There is substantial achitectural diversity in the homes of Butler-Tarkington. 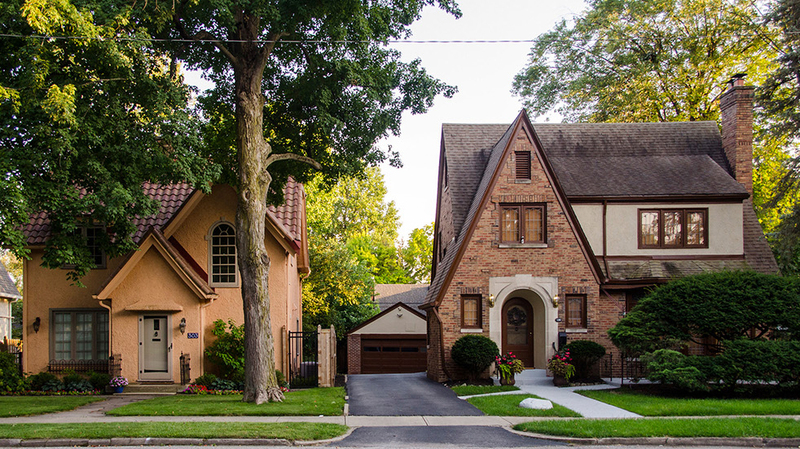 Many were built during the 1930's and 40's, when home design that emulated various European styles was in fashion, and so one might find scaled down versions of English Tudor manors, French Chateaus, and Italian Renaissance palaces on the residential streets. American styles such as Foursquares and Bungalows are also numerous. Tall mature trees fill the yards throughout. Left: an Italian style clay tile roof. Of the 205 homes that sold there in the past year, 52 of them were priced between $100,000 and $200,000. More than 5,000 students attend Butler University, below left, and many of them are interested in renting homes, below right. 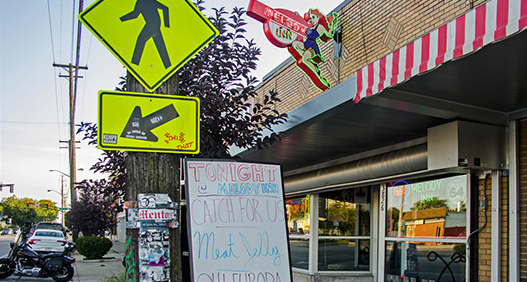 The student population makes Butler-Tarkington desirable for investors as well as homeowners. Both the north and south side of the Butler-Tarkington area, as well as the Butler campus, including commercial establishments like shops and restaurants. At right, the Melody Inn, of the oldest bars in Indianapolis (est. 1935), is a popular nightspot on Illinois Street. Below, a number of eateries and boutiques located on the north end of the same street, near the Monon Trail. Fresh meals, left, and live music, right at the Illinois St. Food Emporium. Hinkle Fieldhouse, below, home of the Butler Bulldogs. When it was built in 1928, it was the largest basketball arena in America, and is designated as a National Historic Landmark. It's name honors Paul D. "Tony" Hinkle, who served as Butler's head basketball coach from 1926 to 1942 and again from 1945 until 1970.